Every single time you smile, laugh or frown, the facial muscles that you’re using wear, and begin to create fine lines and wrinkles. This can make you look worn, tired and older than your true age. A simple, surgery-free solution is to have Botox injections. Originally, Botox was developed to treat medical conditions, such as migraines and the muscle spasms caused by cerebral palsy. But in 2002, Botox was approved by the FDA for cosmetic procedures. Now, it is practically the standard answer to handling worry lines, for more than two million people within the US each year. Repeated creasing of the skin, from using underlying muscles causes furrow lines in the forehead, in between the brows and around the eyes. These lines can be eradicated by treating the aforementioned areas with Botox. Botox is also quite an effective treatment, when applied on the “bands” that can develop on the neck. Today, Botox can even help with issues of excessive sweating. Botox is the only treatment for forehead wrinkles that addresses the underlying muscle, instead of simply masking the lines. Dr. Racanelli aims to give his patients a youthful, glowing, flawless looking face, resulting in one of the best facial rejuvenations Brooklyn can provide. Botox is a type of botulinum toxin, which works by paralyzing the underlying muscle, from the point it is injected from. This helps to prevent the repetitive movements that can create creases to one’s skin. It is essential to consult a reputable and qualified cosmetic surgeon when considering Botox. Dr. Racanelli offers his patients a comprehensive range of injectable treatments, including Botox, Radiesse, Juvederm, Restylane, Belotero, and Xeomin. Dr. Racanelli will go over all the varying pros and cons of each product. Dr. Racanelli will be able to effectively determine the correct treatment for your needs, during your private consultation. 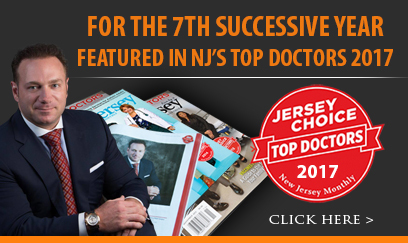 Dr. Racanelli strives to offer his patients with some of the best facial rejuvenation New Jersey has available. Once it has been established that Botox is the right treatment option to achieve your goals, Dr. Racanelli uses extremely fine needles to keep discomfort to an absolute minimum. The treatment only takes about 15-20 minutes, before you can be off with the rest of your day. You should see visible results within 14 days. The effects of Botox last approximately three to four months. That being said, with regular treatments the results can be extended much longer. If you’d like to learn more about your options for Botox in Brooklyn or New Jersey, request a consultation online. Or feel free to call the office directly at (888) 982-3309 and one of our staff members will be happy to assist you. Rated 5 / 5 stars based on 9 reviews.